In a discussion paper entitled ‘Extending mandatory licensing of Houses in Multiple Occupation and related reforms', the government said five people in two households should be the appropriate threshold for people living in smaller HMOs, while it added that it may be necessary to introduce a minimum room size. The paper said there is a "strong case" to extend mandatory licencing rules to two storey homes and "a case" to extend it to one storey HMOs, while it was argued that all flats above and below shops should be brought under the regime. Currently mandatory licencing applies to HMOs comprised of three or more stories occupied by five or more people. If the government gets its way landlords who fail to obtain a mandatory licence will be liable to pay a potentially unlimited fine. Brandon Lewis, housing minister said: "The government is determined to crack down on rogue landlords and these measures, alongside those in the housing bill, will further strengthen councils' powers to tackle poor-quality privately rented homes in their area. "It is simply unacceptable that people are living in cramped, unsafe accommodation provided by landlords who are more interested in a quick profit than the safety or welfare of their tenants. "The actions of these rogue landlords are helping fuel illegal working, benefit fraud, and illegal immigration by creating a shadow housing market that carries dangers to people's health as well as communities." 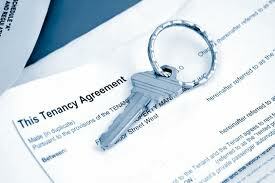 The government reckoned there isn't a strong case for bringing flats within residential blocks under the scope of mandatory licencing because long leaseholder landlords already have to abide by terms within the freeholder's lease.